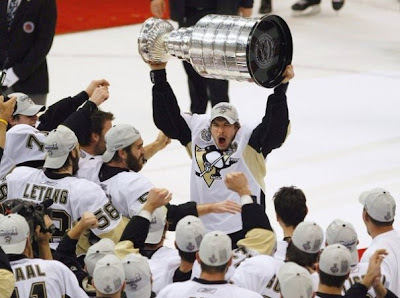 Okay so the Pens have been struggling lately, it’s nothing that we as Pens fans aren’t familiar with. Now before everyone starts with the CRAZY trade talk, let’s take a look at what the Pens need to do to get back to their game. Shoot the puck more: Ever sit by one of those annoying guys who yells shoot not matter what? Well, SHOOT! There I did it, but in all seriousness the Pens need to shoot the puck. This pass, pass, pass, pass, game plan isn’t working out, especially on the power play. Another persistent move we tend to see is the passing of the puck when there is an open shot. The Pens have a tendency to always want to make the perfect play and instead of just shooting the puck, they pass it. It works sometimes but most of the time it does not and ends up going the other way. Get the puck out of our zone: clear the puck! Don’t become the traffic: If you can’t make a play on the puck, get out the way so MAF can. We have incidents where our d men take Flower out of the play. Get more involved: Take more shots from the point or anywhere really, don’t be so hesitant. More confidence: Be strong to the puck , finish off checks, get gritty on the boards and pinch in. Crash the net- Pens need to get more bodies to the net cause some havoc in front for the opposing goal tender. Now, I'm not trying to do any finger pointing or play the blame game. I can sit here and post everything I think the Pens need to do, but really it's what they think they need to do. We have to trust that our boys and coaching staff will fix things and get back on the right track on the ice. We win as a team and we lose as a team. The Pens head back to the Burgh for a couple of games before going on a 5 game road trip. Picking up two home wins will help this team immensely. We have a very talented group of gentlemen here and sooner or later things will get going. Like I said before, it’s nothing that we as Pens fans aren’t familiar with. We are strapped into a roller coaster ride from the beginning of the season and if you can’t stomach that, then please hop off this ride. "It is a rough road that leads to the heights of greatness"